Book Passage contributing blogger Zack Ruskin interviewed Gary Shteyngart (author of The Russian Debutante's Handbook and Absurdistan) about his latest novel Super Sad True Love Story ($15.00). Zack Ruskin: Do you feel you could’ve written your novels in a different order, or did the process of writing The Russian Debutante's Handbook and Absurdistan in some way inform Super Sad True Love Story? Gary Shteyngart: The Russian Debutante's Handbook was written when the world was a much more optimistic place. The Soviet system had collapsed, America was doing A-OK, mister, the glaciers weren’t in full melt mode. With each book things get a little sadder. ZR: For how funny Super Sad True Love Story is, (as well as your other novels), there is a definite somberness and darkness in the text. Do you feel that humor is benefited by a dramatic counterpart in prose? 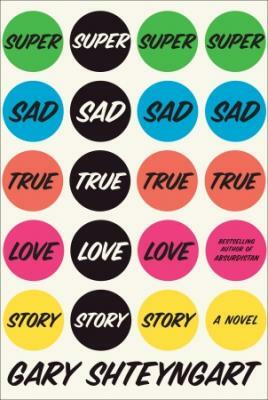 Is it possible to write a funny novel that doesn’t have some semblance of sadness?